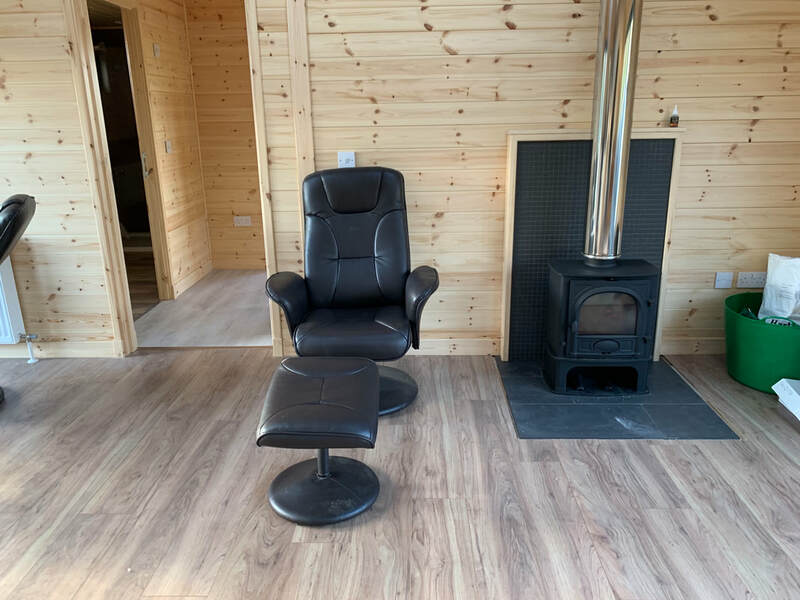 The cabin has a large living area with a comfy sofa, chairs, TV & DVD player. 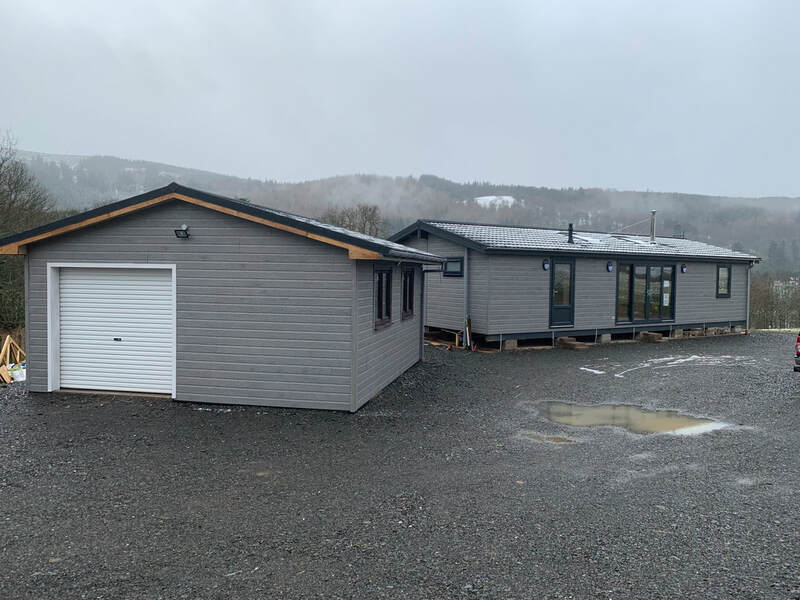 It has an Open plan design with a fully equipped kitchen including, microwave, oven, hob, dishwasher, fridge and freezer. Gas central heating through out and a log burner for those cosy evenings. The Lodge has WiFi facilities and also has wheelchair access. Outside there is seating area on the veranda which overlooks a small safe and enclosed dog area, where your dog can run and play while you sit and relax. The whole property had security surveillance, lighting and is well fenced. Please leave the Lodge as you find it. Rubbish to be put in bins that are in the storage shed. Please bring your own bowls and bedding. Don't leave dogs unattended on site. If you leave the place either take them with you or leave them in the kennels. For mountain bikers please use safety cutout plug when operating the pressure washer. Situated just off the A72 between Innerleithen and Peebles. Easy access to walks, mountain biking routes golfing and fishing. 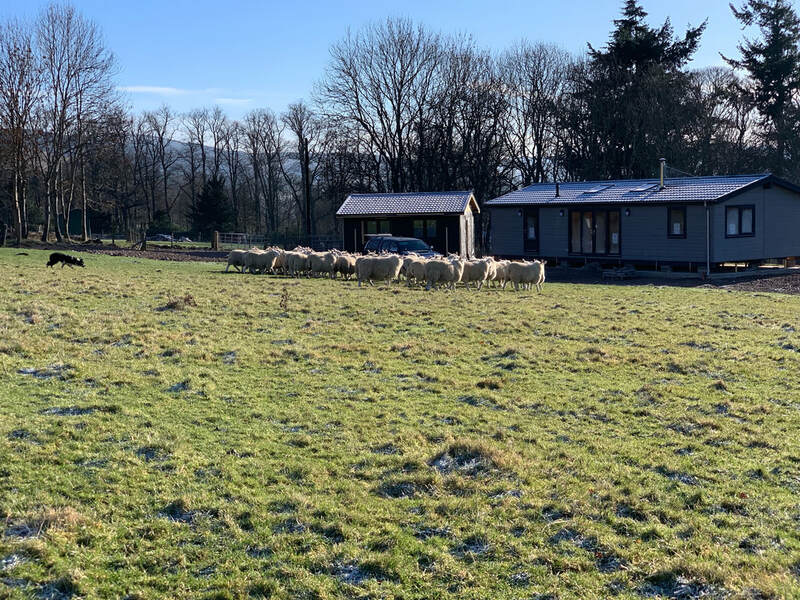 On the facility sheep breeding is the main business and their welfare is the upmost importance so please keep dogs in the designated areas under a watchful eye in the enclosed dog exercise field or on a lead. There could be ewes with young lambs grazing in the main fields. Any damage to yourself, dogs, or your belongings is at your own risk. 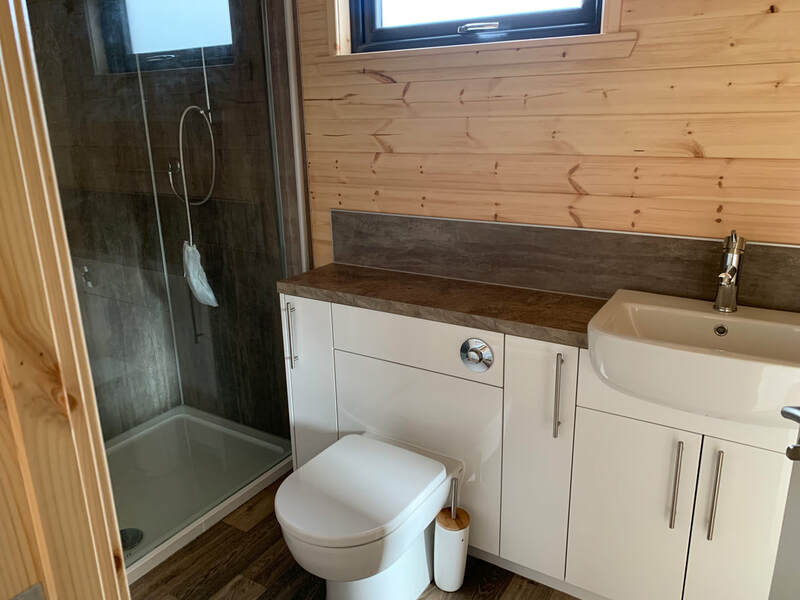 Prices : 1st June 2019 - 1st October 2019 and Christmas holidays. All prices include, all bedding, towels, electricity, wood for the log burner and cleaning the Lodge. Prices £5 per day per dog. For extra requirements please contact the owner. Note: No training without supervision. Prices for storage facility for bikes with washing facilities and security £5 per day per bike. A calendar for checking availability will be put up soon, but bookings must go through the owner. A non refundable deposit of £100 will be invoiced. The outstanding amount needs to be paid one month before arrival. The Lodge is not ready yet for Let. These are pictures in working progress.